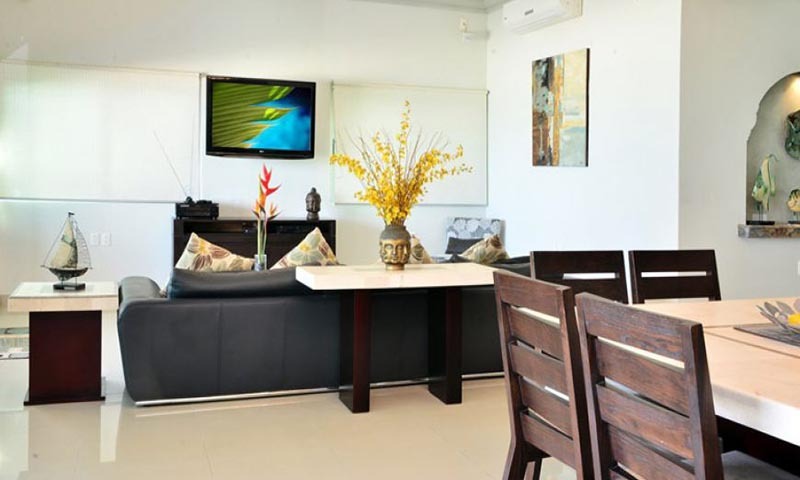 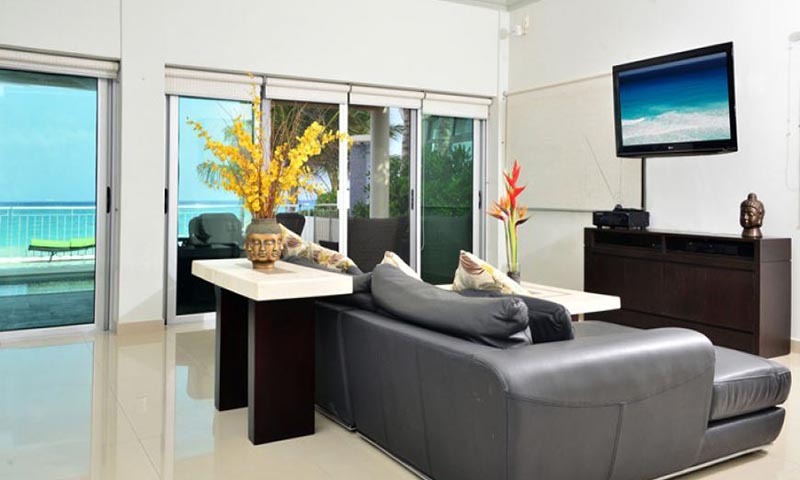 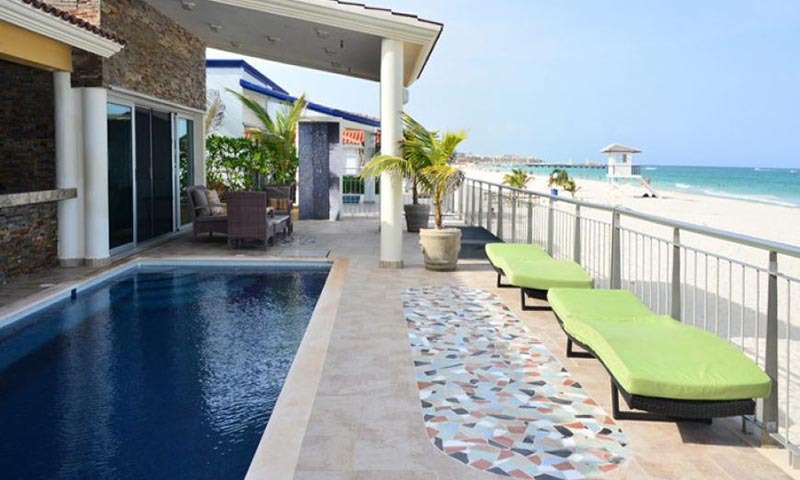 Everything in this property is of the highest quality standard and includes wireless internet and sound system. 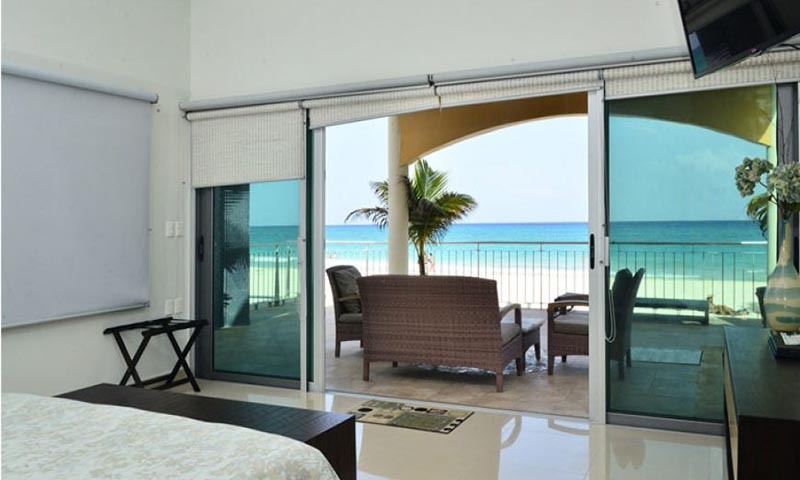 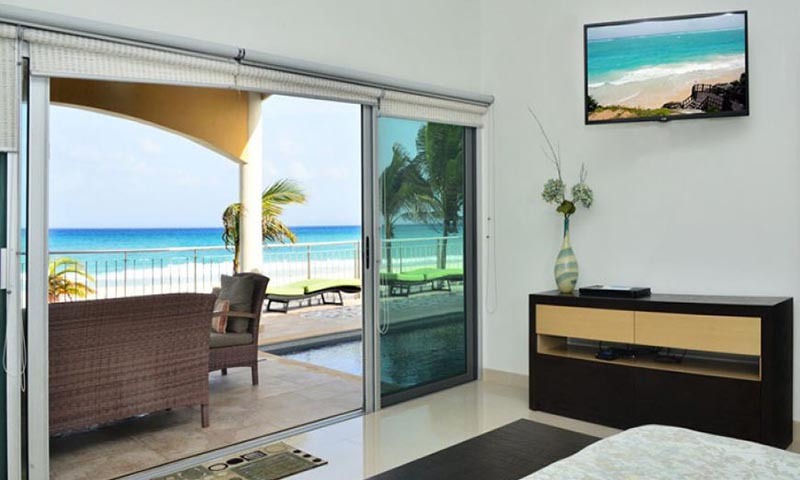 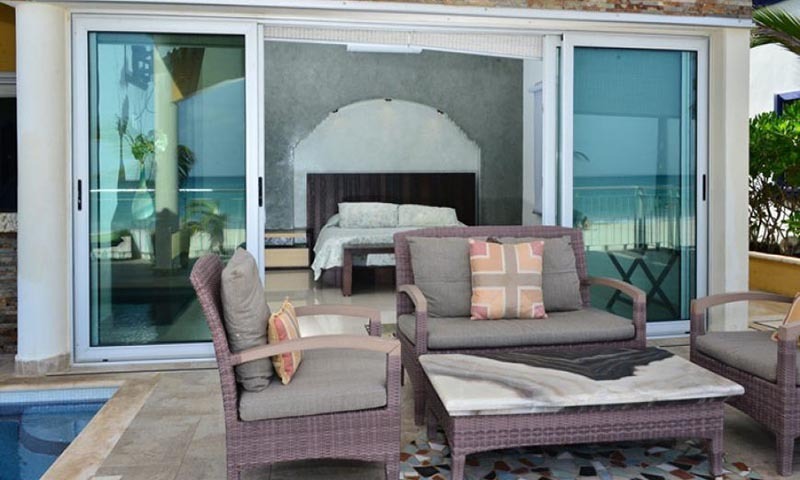 The master bedroom has direct access to the terrace, pool and beach, and from the king size bed you may revel in the beauty of the turquoise sea. 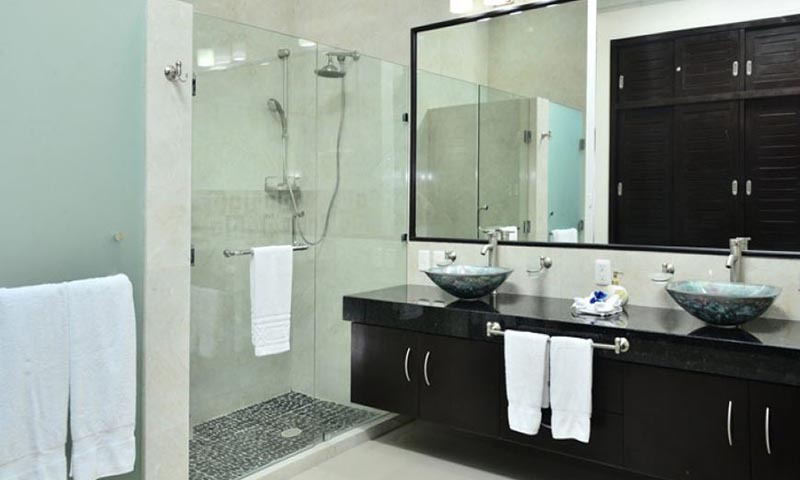 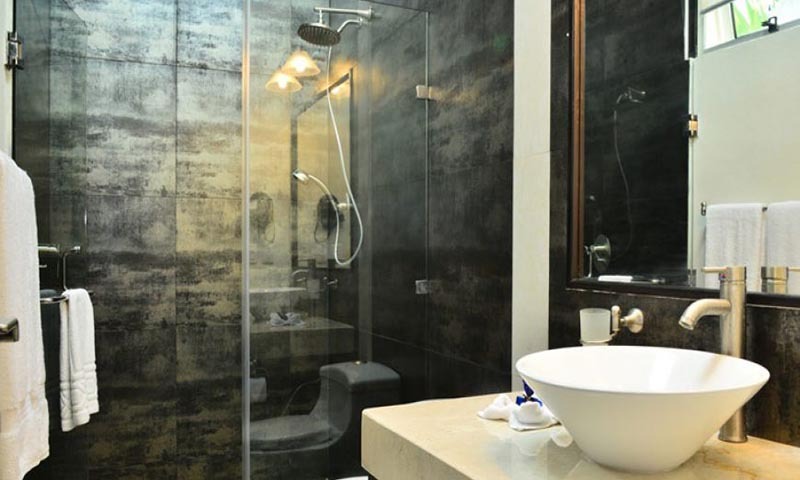 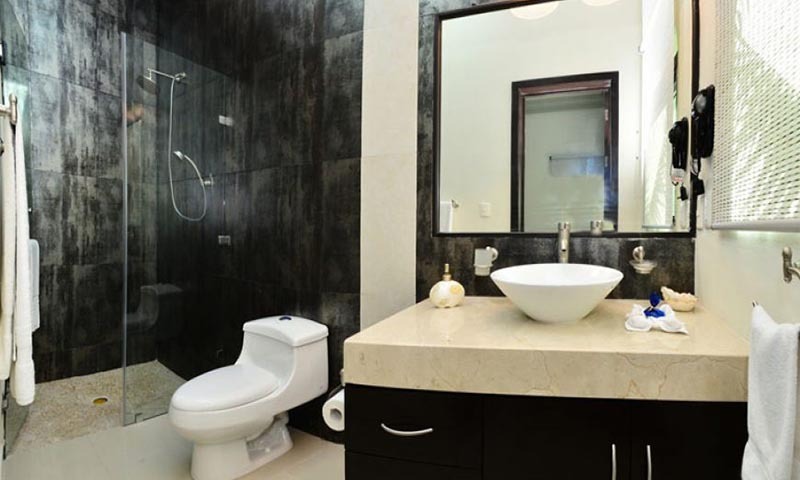 The amenities in this spacious bathroom include a large jacuzzi bathtub. 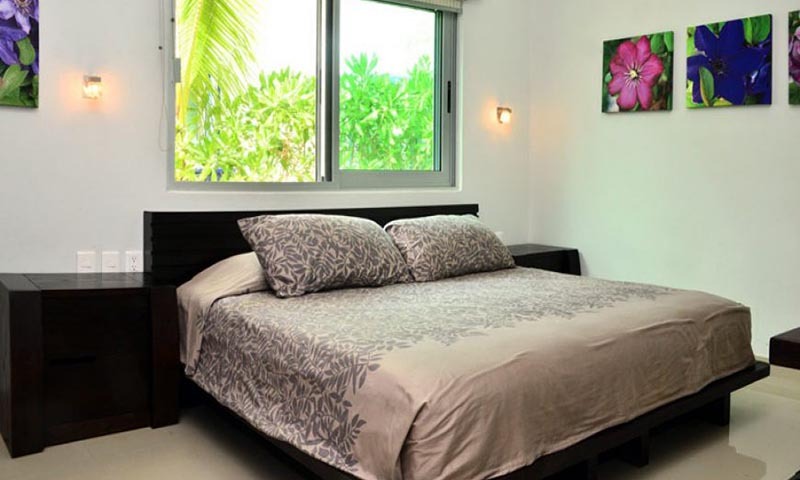 Each of the bedrooms has its private bathroom, ceiling fans, closets and air conditioning units, Three offer a king size bed and one with a queen size bed. 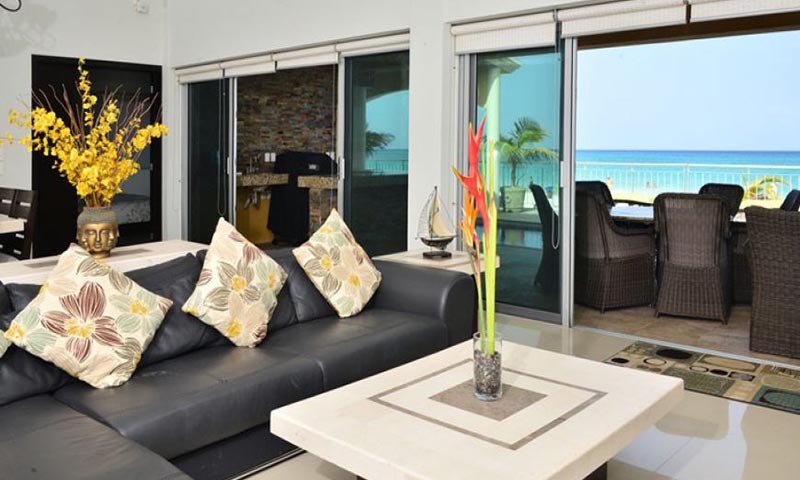 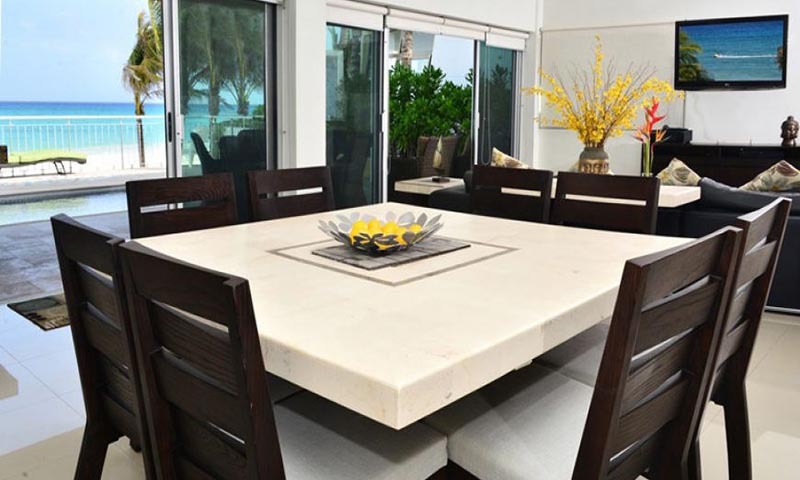 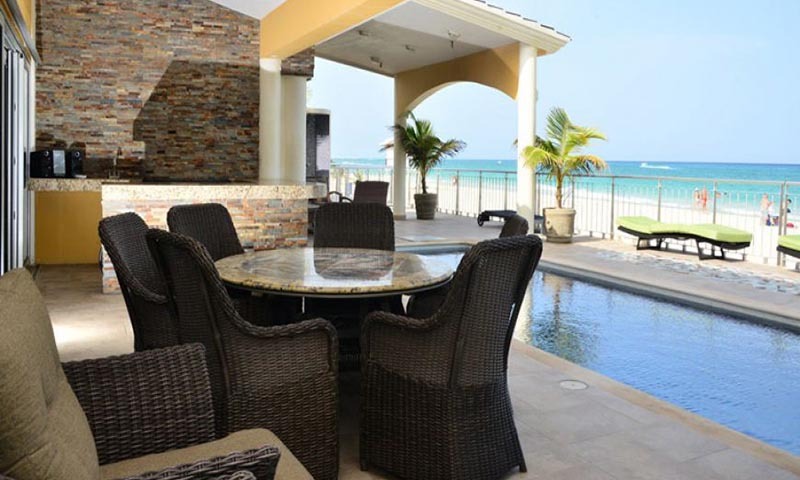 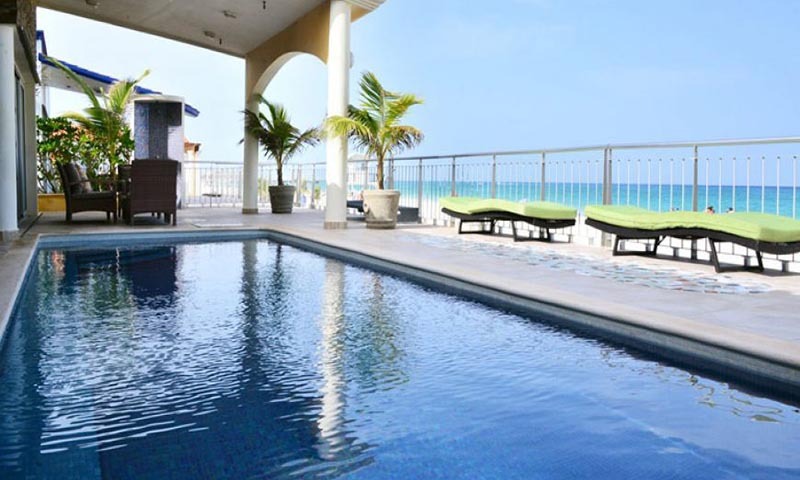 The living and dining area overlook the sea, and have access to the terrace, private pool and Weber BBQ, with ample area for food preparation and bar, also the most comfortable furniture from which you may enjoy watching the sunrise and sunsets, and the beauty of the Caribbean sea. 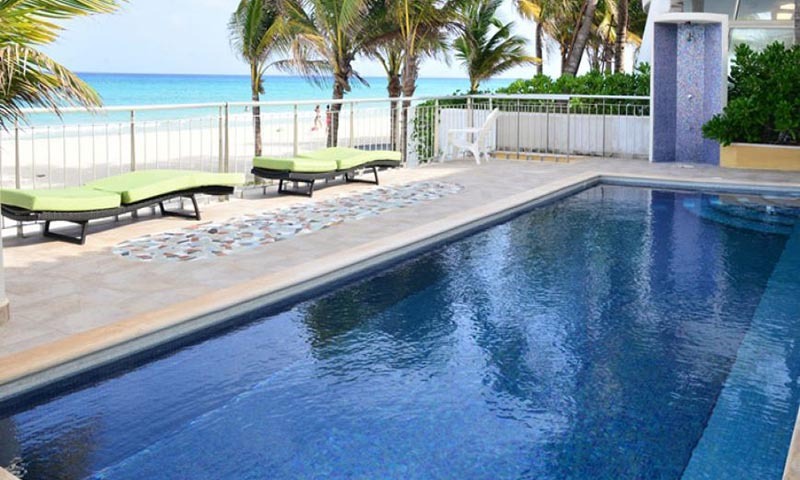 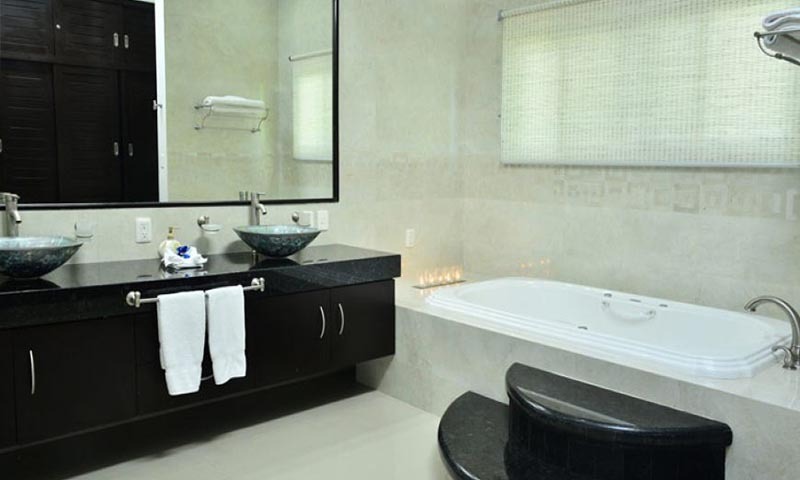 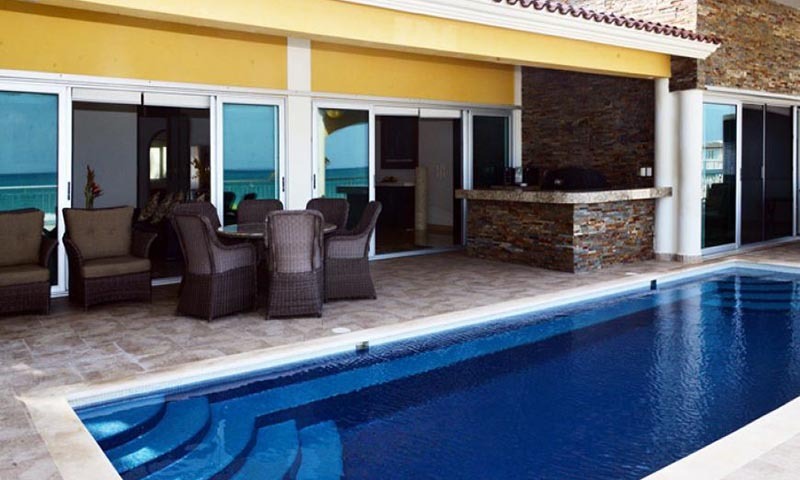 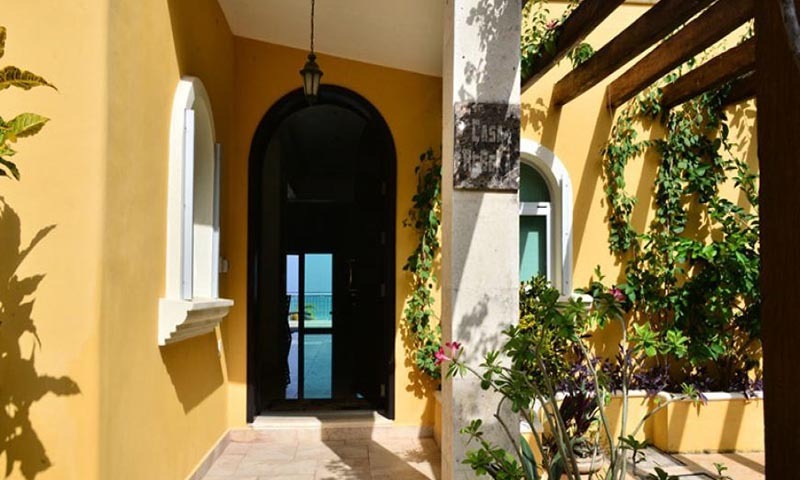 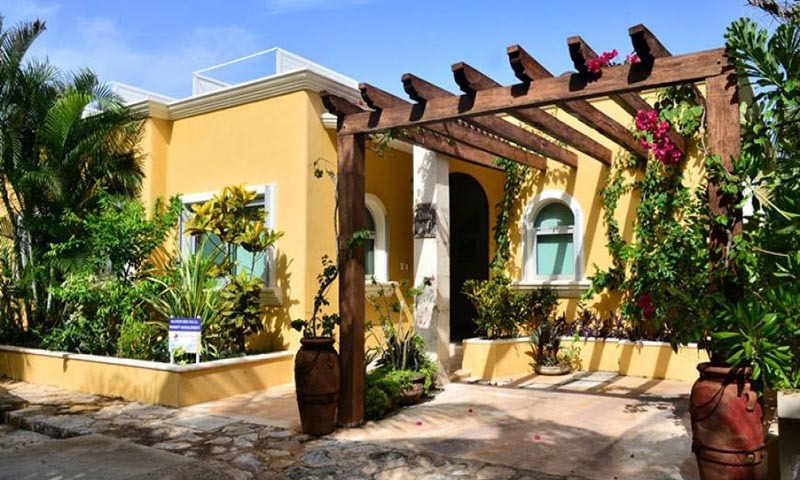 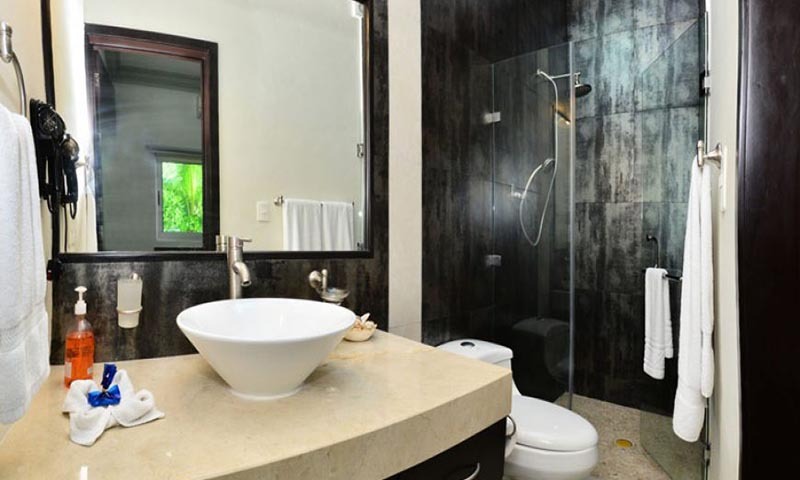 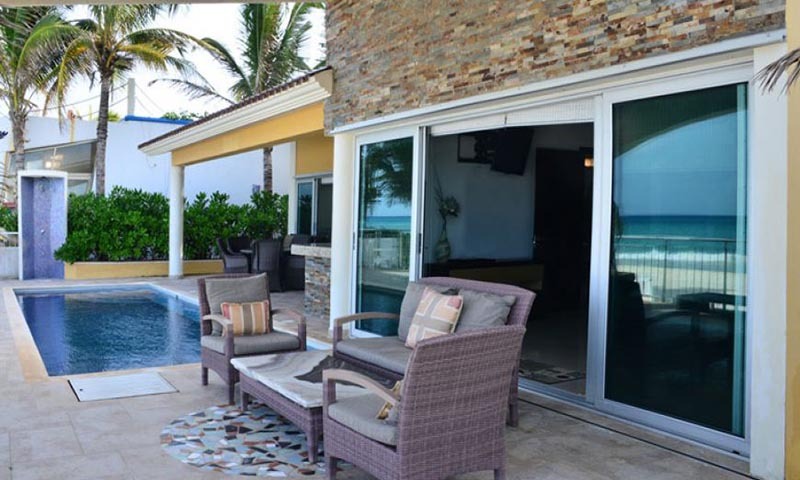 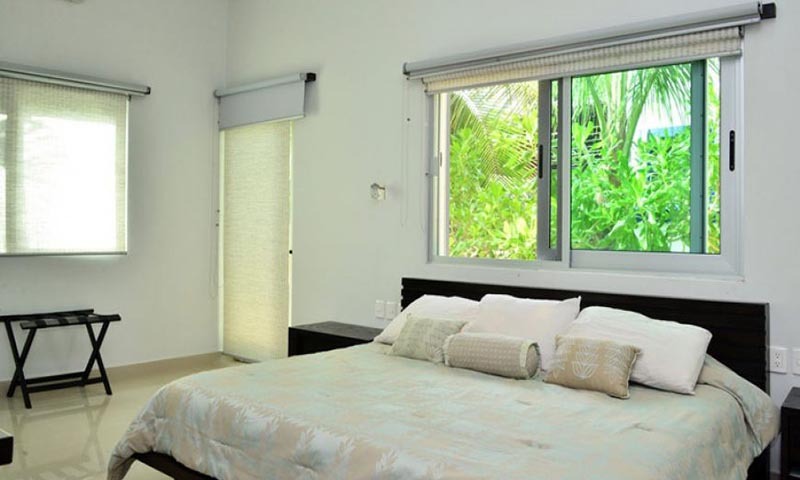 The location of this property is ideal, located in Playacar Phase I, which is the most exclusive residential community in Playa del Carmen, offering 24 hour security. 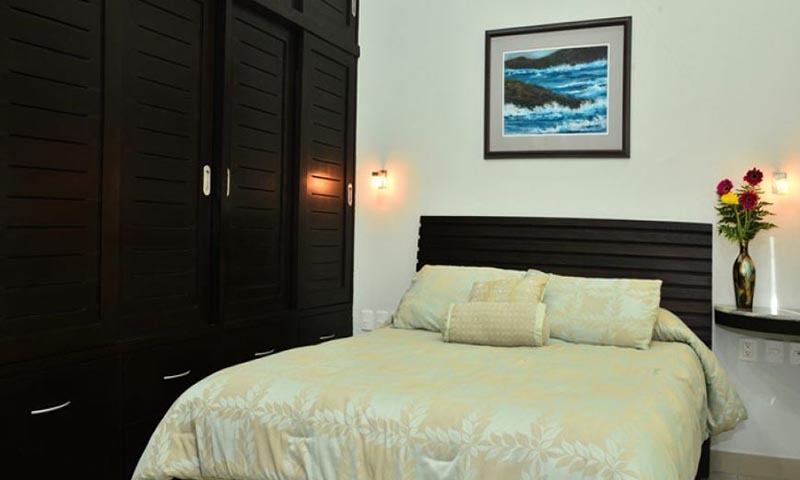 You are only minutes away from Paseo del Carmen which is where the famous 5th. 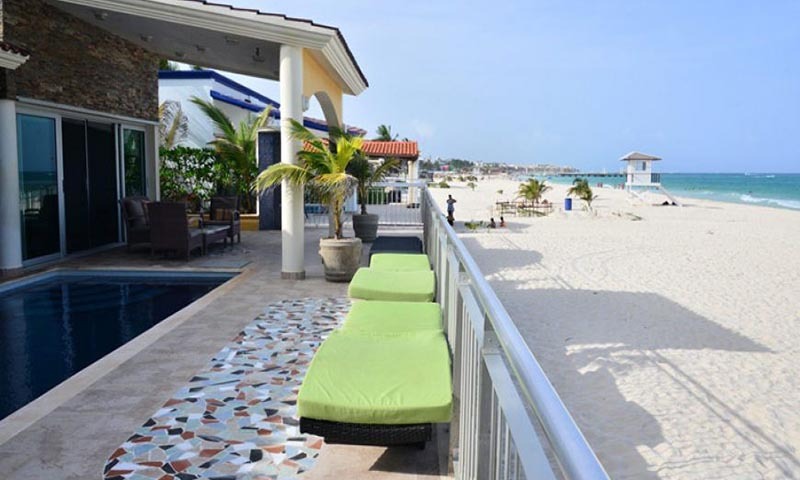 Avenue begins; a favorite place to walk in the evenings and browse the shops, enjoy dining at the best restaurants and have a refreshing drink in one of the trendy bars.